So I have been doing most of my own leather work recently. It all started Sept. or so last year when I had several knives needing sheaths, and my leather worker friend threw out his back. So I had to do it all. It started with simple sheaths for a set of hunting knives and got more and more complex. To the point I actually took custom leather work orders I normally would not do. 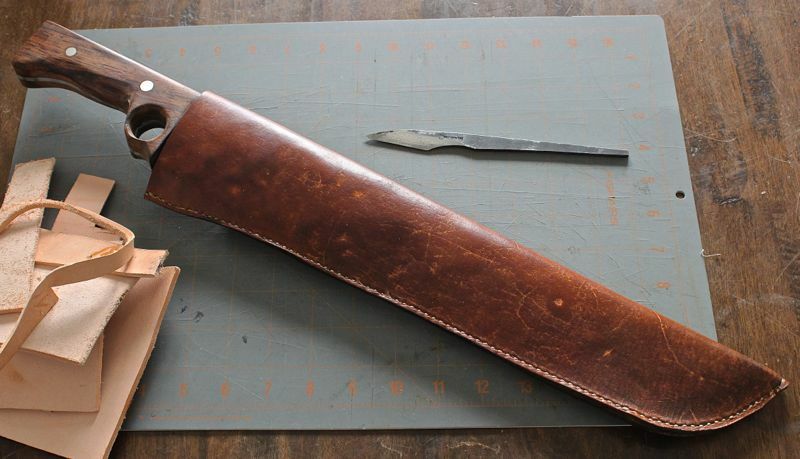 This sheath was inspired by Bill the Butcher from Gangs of New York. I did a custom Chef's roll for a customer, another first for me. And it turned out beautifully! 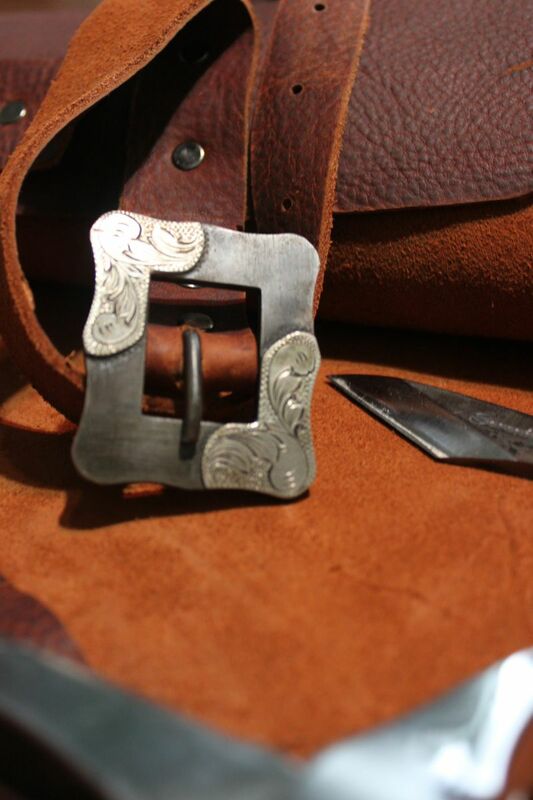 Thanks in large part to his amazing hand made spur buckles!! When my leather worker felt good enough to work leather again, I had him do the sheath for a custom saber, he has done a couple awesome ones in the past for me.